The dust raised by the proposed NGO Regulatory Bill currently at committee stage in Nigeria’s House of Representatives is yet to settle. A coalition of Civil Society Organisations (CSOs) on Thursday, September 28, 2017, approached a federal high court in Abuja to challenge the appropriateness of the bill on the ground that the bill violates the constitutionally guaranteed rights to freely associate and assemble. A Program Manager at Paradigm Initiative, Boye Adegoke said, “We consider this court process as an important civil means of seeking redress and getting a lasting solution to the current challenge referred to as the NGO Bill. 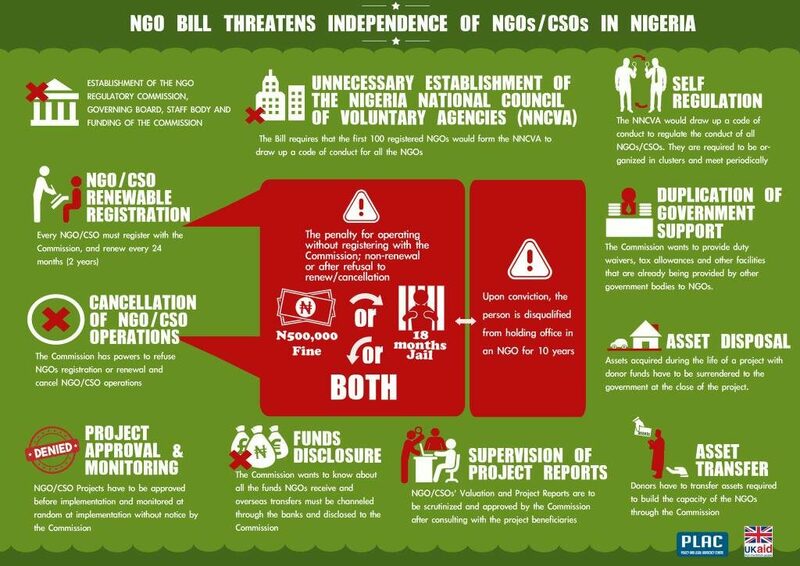 Mindful of the atrocious capabilities of governments with respect to regulation and proscription, we feel the civil society community in Nigeria is under imminent threat from far-reaching provisions of this bill”. The coalition includes Paradigm Initiative, Enough is Enough, Consumer Advocacy Foundation of Nigeria, Media Rights Agenda and Rights Awareness Initiative.